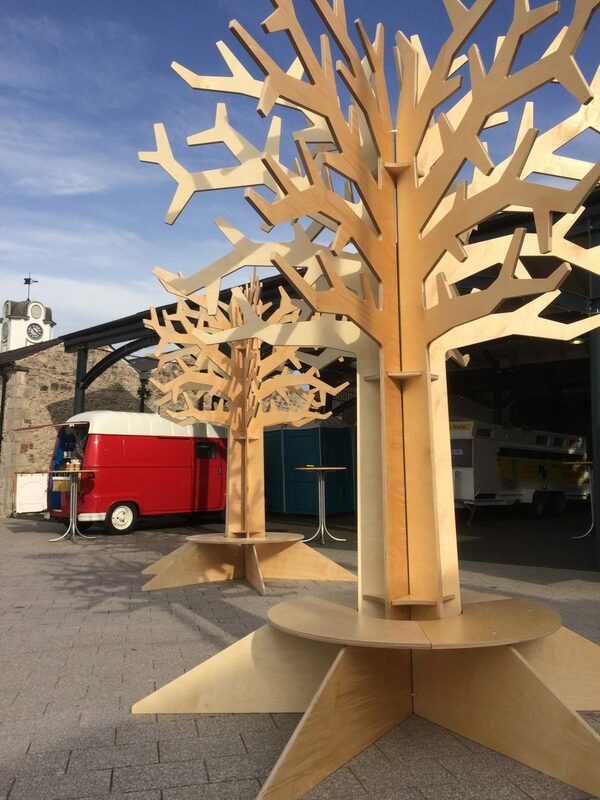 September saw us work on a project for a Cider and Food festival in Armagh for the local Council. Armagh is famous for it’s Orchards and several local companies have established the area in the Cider and food market around this production. 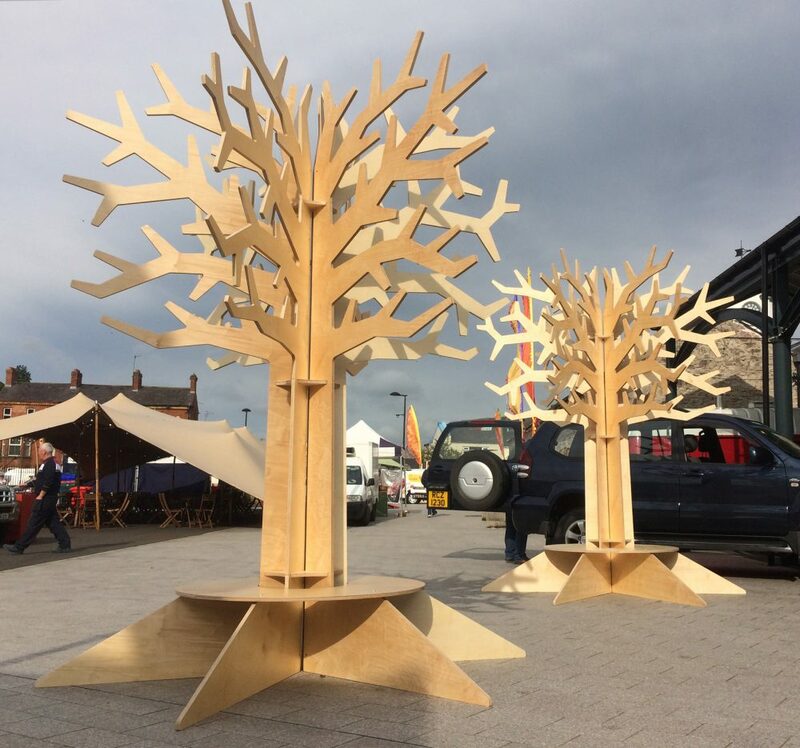 We were commissioned to design and produce a series of large Plywood Trees to act as symbolic centre pieces of a new open air market and festival space in central Armagh. 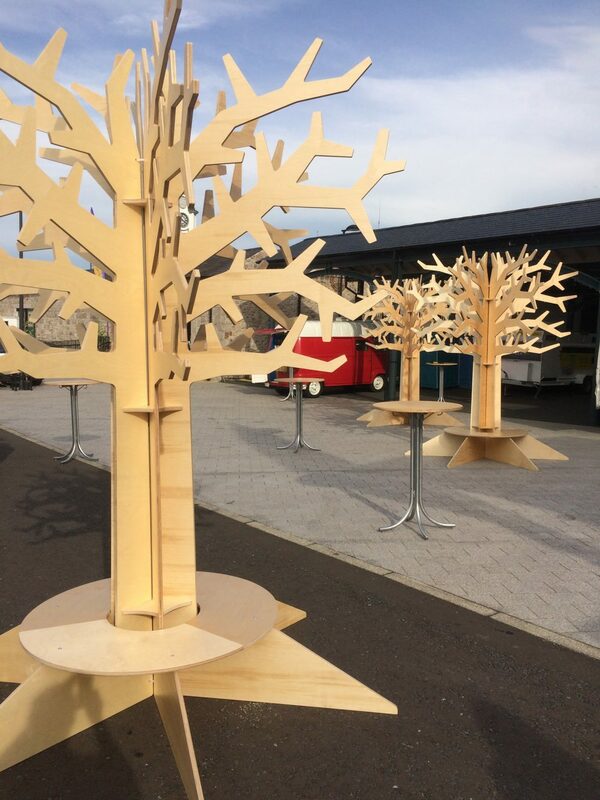 The trees with seating below and decorated with Apples and Leaves needed careful consideration for outdoor usage with stability and safety paramount but also knock-down features enabling their re-construction each year for the festival. Our thanks to Louise Rice and all her colleagues at the Council Arts Office.